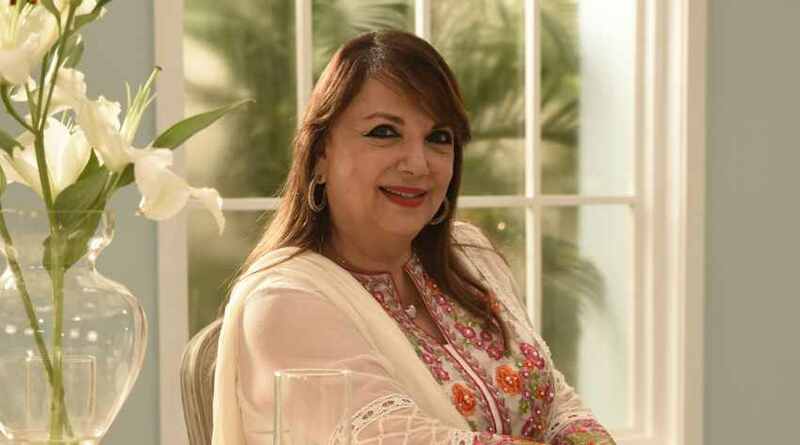 Last year Zarine Khan, wife of actor-producer and director Sanjay Khan, wrote the well-received Family Secrets. The cookbook mostly revolved around the food that is cooked in her home and the recipes that she learnt from her mother-in-law Fatima Bibi. The Khans’ home in suburban Mumbai is famous in Bollywood for the delicious and lavish lunches and dinners hosted by Zarine and Sanjay. 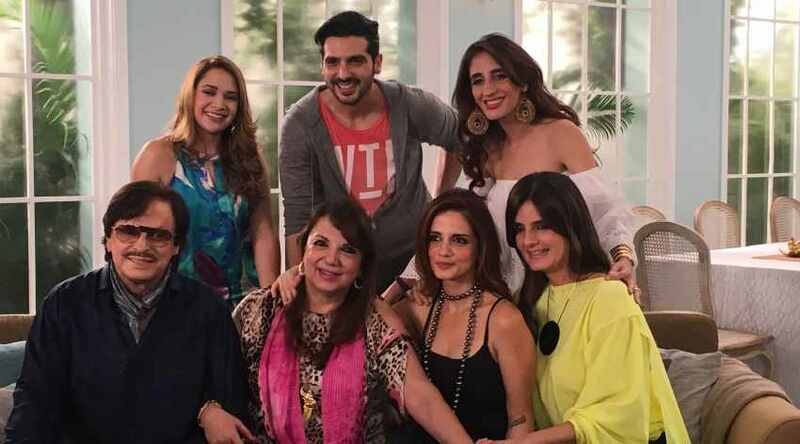 Next month, Zarine makes her television debut by hosting Spices & Secrets with Zarine Khan. In an interview with Express Foodie, she talks about the show, the culinary influences she picked up from her mother-in-law and Sunil Dutt’s favourite dish. You’ve hosted and fed some big Bollywood stars over the years. Who was the most passionate about food, and what did he/she love eating at your home? All the Bollywood stars I have hosted over the years, have been extremely passionate about the food served at my home. My table is always lush, usually with a mutton biryani — a favourite among all my guests, or with an array of traditional Parsi dishes that my family enjoys. Dining with the entire family at my grandmother’s magnificent dining table is one of my earliest memories of food. All of us would sit together and share stories about our day and bond over the great spread of food that my grandmother always laid out. Even after I got married and had a family of my own, I continued the tradition of using mealtimes to bond with my family. Food binds people together and I strongly believe that a family that eats together, stays together. Are lunches and dinners today less of an elaborate affair than it was back in the 1970s and ’80? Absolutely! Today, people often get too caught up in their own lives and do not find the time to share meals with their family. Therefore, in my home, we prepare a new menu each day, so that we have something to look forward to, as we meet for lunch or dinner. I’m also very lucky as my kids live quite close to me. They ensure they drop in for a meal whenever they have the time. A lot of your cooking was shaped by your mother-in-law, — Bibi Fatima, and in your book you provided many of her recipes. But where exactly did the Khan family hail from, and what was their day to day food like? My husband’s family hails from Bangalore. They have a mixed Persian and Pashtun heritage. On a day-to-day basis, their food consisted of a light, Persian fare with not too many spices. My mother-in-law, who was Persian by birth, also included a lot of Muslim-oriented food, with a strong South Indian influence, which later found its way into my cooking as well. What goes into Zarine Khan’s famous biryani, and will it be on the show? Biryani is definitely one of the most famous dishes that I cook and I have prepared my mutton Biryani on the show. However, there are several varieties like dum biryani, chop biryani, prawn biryani, mutton biryani, keema biryani, and palak biryani, and to find out the ingredients that go into the famous biryanis, you will have to tune into the show! Considering you have been around actors for the last four odd decades, which actor/actress do you think cooks the best, or hosts the best lunches and dinners? Amongst our friends in the industry, apart from my own home, the other place that I have always looked forward to dining at has been Raj Kapoor’s house. The Kapoor family loves their food and enjoys eating a scrumptious meal! They always have an elaborate spread, which is very similar to the food served at our home. What exactly is the Banglori dal, which features in your book? And how is it different from a regular dal? The imli in the Bangalori dal gives it a distinct and tangy flavour. Like regular dal, the Bangalori dal is first boiled and then, the imli is added just before the tadka of chillies, curry leaves and garlic and onions, which gives it a unique flavour. Tell us something that we didn’t know about a particular star’s eating preferences. The first person that comes to my mind is the late actor Sunil Dutt. He was the biggest fan of my green masala pomfret. He would request for his favourite hara masala machchi every time he would visit our home. Even in his last days, when he was at the hospital, he requested me to get him some of the fish to the hospital for him, because he was bored of the bland food. I still remember bringing the fish to Breach Candy Hospital for him just to see that childlike delight on his face at the sight of his favourite dish!